Taking a Seriously Silly Look at Life! It’s the beginning of the New Year and people everywhere are setting resolutions. By now, some have already given up on their resolutions no doubt. Rather than set resolutions or berate yourself for not achieving them, what if you spent the next few days thinking about your true intentions for yourself over the next year? 1. an act or instance of determining mentally upon some action or result. 2. the end or object intended; purpose. 3. intentions. a. purpose or attitude toward the effect of one’s actions or conduct: a bungler with good intentions. b. purpose or attitude with respect to marriage: Our friends are beginning to ask what our intentions are. 4. the act or fact of intending. properties, classes, or the relationships among first intentions. Yes I know that “the path to hell is paved with good intentions,” but that’s not the type I mean. I mean definition #1 above: “an act or instance of determining mentally upon some action or result.” Sort of like a goal, but more fluid. The prettier side of resolutions, which feels an awful lot like forcing things, doesn’t it? Having attended an all-girls Catholic high school, I am very familiar with prayer intentions–again, that definition from above, although your 2013 true intentions do not need to be prayers unless that feels right for you. This week’s LifeBook 2013 lesson was about true intentions and my work on that lesson can be seen below. Before I get into the art, I want to encourage you to think about what you really want for yourself this year…and set your mind and heart on it…and then make it happen. Here’s my True Intentions “doll.” It wasn’t supposed to be realistic at all…so it was a stretch for me. Many of the artists in LifeBook used their stamps, but I’m not much of a stamper yet…so, I used collage instead. I created her face by drawing with one of my Micron pens and then using watercolor. The challenge for me was to move relatively quickly without thinking about the lesson too much…so I just created a basic face. No pencil and no erasing…so her face is a little imperfect, but art is in the imperfection, right? My intentions are written around my doll. Here’s an picture of the entire piece. 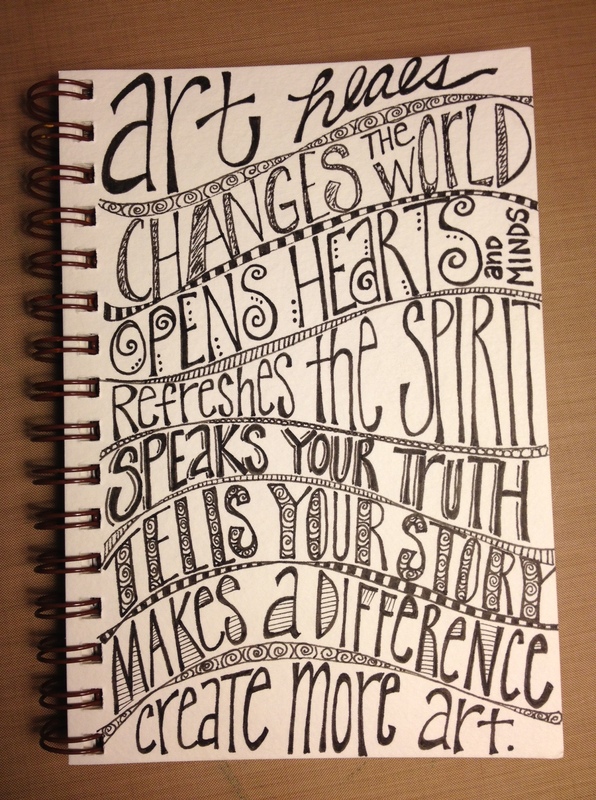 Then a few new lettering pieces…I love this one..I will be scanning it and then coloring it in, I think…. 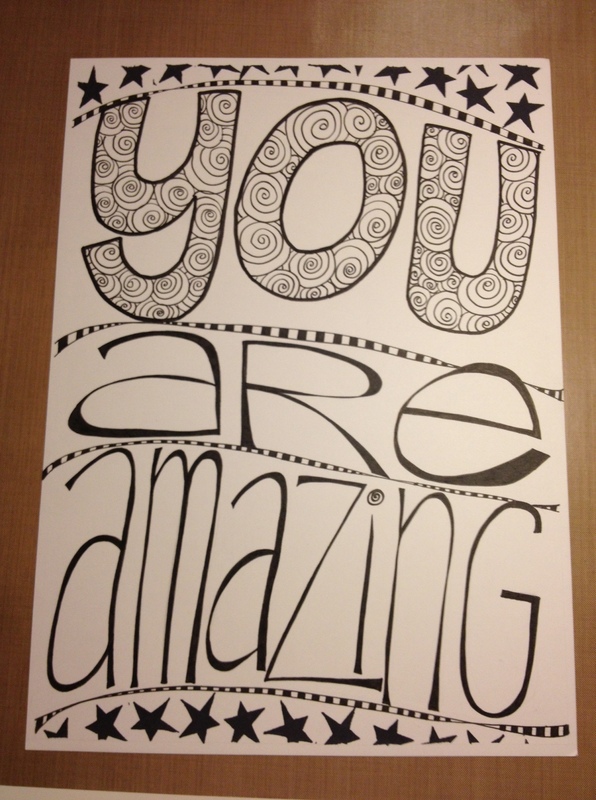 A reminder for those closest to me…that they are amazing! Another lettering project with Micron pens and then with some new Tombow watercolor markers that I received for Christmas! 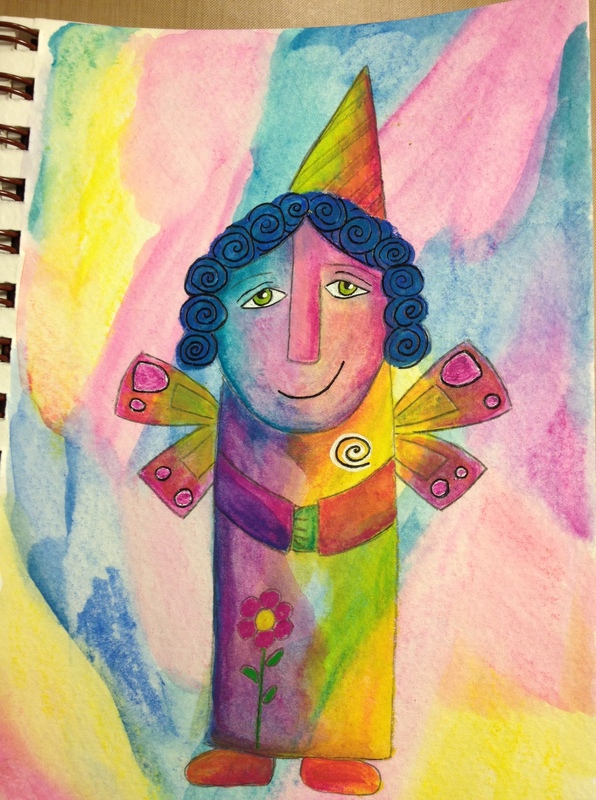 It’s fun to dilute them and make them into a watercolor medium in a marker. 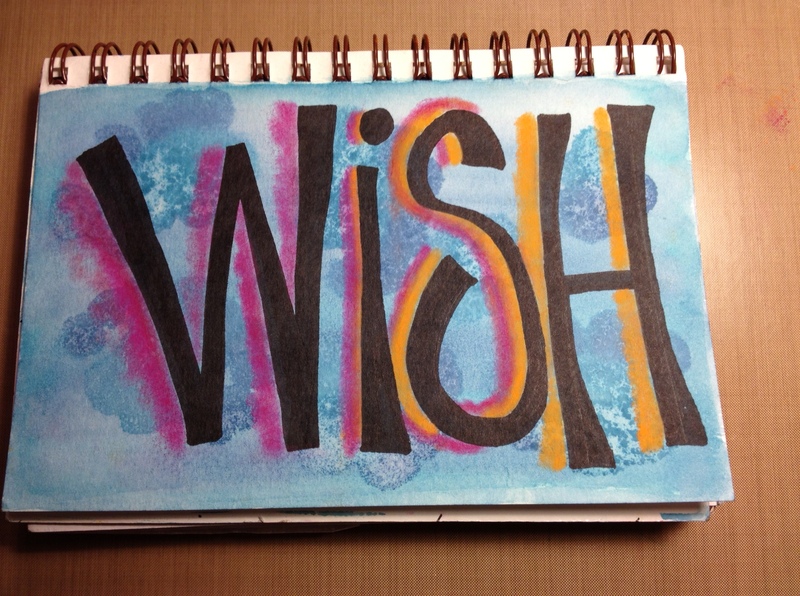 Finally, a quick and playful attempt at playing with Tim Holtz dyes, with Copic marker and pan pastels over the top. 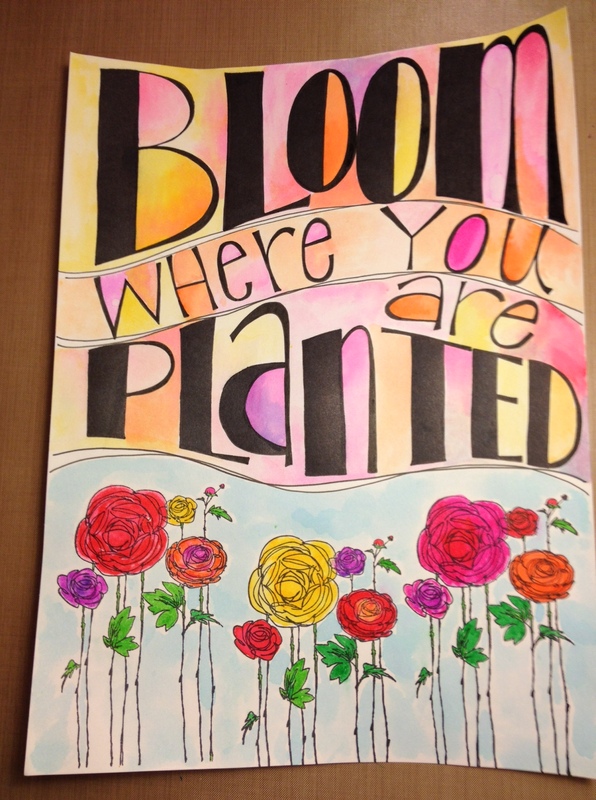 Thank you for stopping by this week and checking on my artwork…I hope you will spend time thinking about your true intentions for 2013 and take action to make those intentions reality! 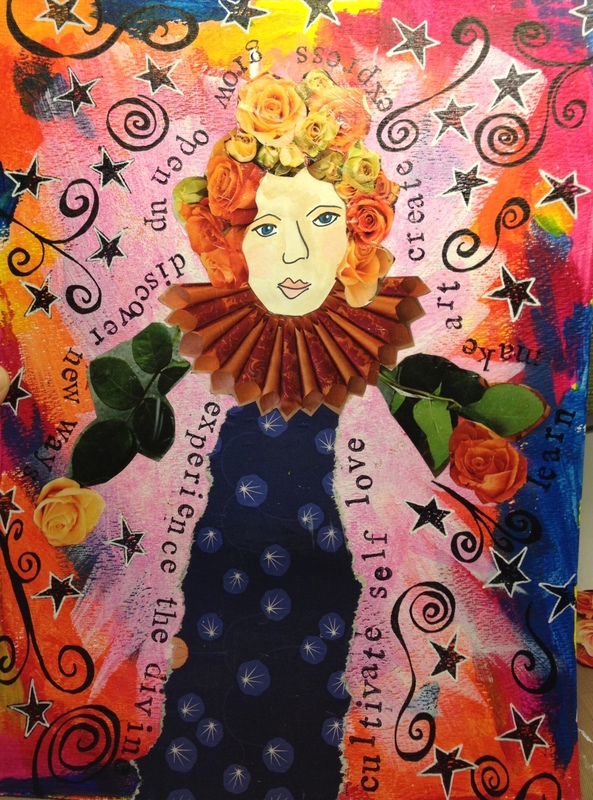 This entry was posted in LifeBook 2013, Mixed Media and tagged art journaling, creating art, intentions, LifeBook 2013, mixed media, true intentions. Bookmark the permalink. Absolutely beautiful stuff! 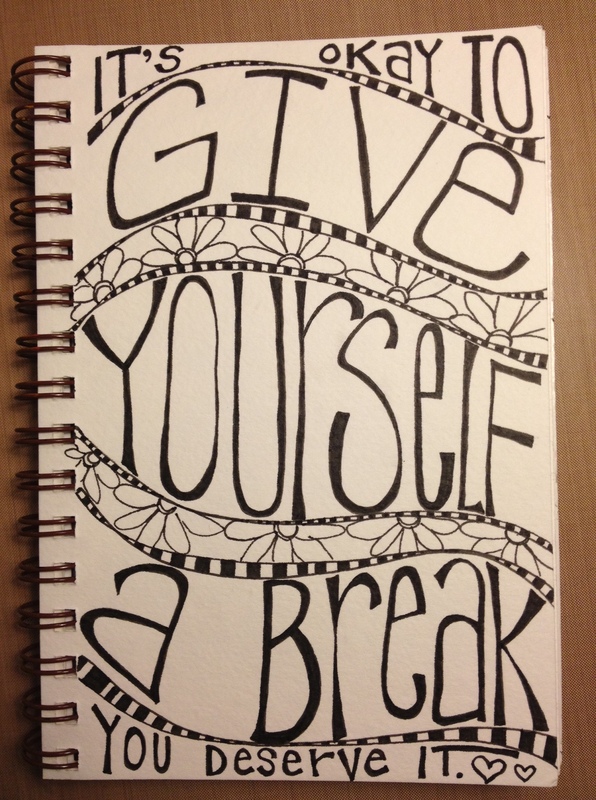 I’m seriously going to start making some of these lettering things myself. I used to do lettering as a junior high/high school student (I am 50 years old now!) and wonder if I still possess the talent?? I’m going to try it! 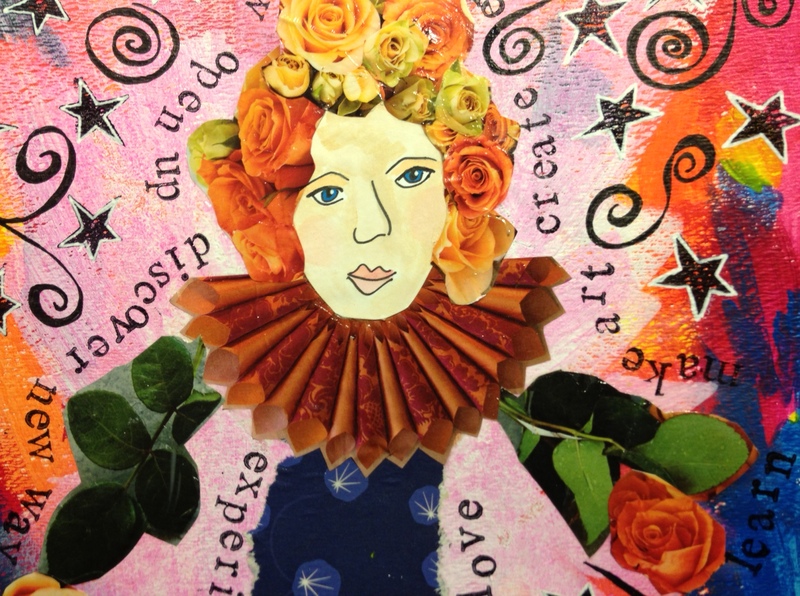 Get updates from Seriously Whimsical Studio via email! I’ve Been Blogging in My Head!